Rust stains can appear both inside and outside your home. Inside, they take the form of hard water stains in your sinks, bathtub or toilet. While they’re unsightly, indoor rust stains will not usually cause any damage to porcelain or ceramic fixtures. Outside, however, rust stains need to be dealt with quickly because they will damage cement and brick. Rust stains can also be transferred to fabric if you brush up against a rusty or corroding surface. How to remove rust stains will depend on the type of surface the stain is on. 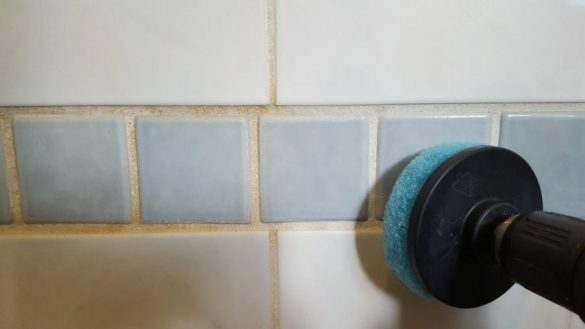 Some people believe that rust stains on bathroom or kitchen fixtures are the result of lead or metal pipes that flake and leave deposits on ceramic or porcelain surfaces. But rust stains form regardless of the material the pipes are made of. They form because the high mineral (calcium and magnesium) and iron content in hard water oxidizes. Even if you had no air in your bathroom, you’d still get rust stains on your fixtures because water contains oxygen. Use a commercial cleaner like Whink, Zud, Comet or Lime-Away. If using a commercial cleaner, follow the instructions exactly to avoid injury and damage to the fixtures. If making your own acidic paste with vinegar or lemon juice, test it on an inconspicuous area first to make sure it won’t damage the finish. Let stand for 10 minutes, scrub and rinse. Rust stains can form outside as a result of hard water, too. Or, they can form when water continuously washes over an iron object. For example, rivers of rust may flow when an outdoor iron plant holder remains in the rain for too long. Sweep and wash the affected area. Pour a generous amount of vinegar or lemon juice on the stain and let stand for 15 minutes. Scrub with the stiff-bristled brush and rinse. Depending on how long the stain has been allowed to set, you may have to repeat these steps a few times. If the stain does not come out with the lemon, vinegar or scrubbing you’ll need to purchase commercial rust stain remover. Whink is a good brand. These rust removal products are highly toxic and you must not get on your skin, eyes or breath the vapors. You must use gloves and protect your eyes when using this product. Apply 2-3 drops of the rust stain remover product to the stain. Wash as directed on the label if removed from fabric.